Despite the fact that the 2018 Mustang isn’t even in the hands (or driveways) of enthusiasts yet, the community has already started talking about what 2018 Mustang parts they want to add to their pony first. Speaking with a handful of Mustang owners at the Carlisle Ford Nationals in the beginning of June, enthusiasts have already begun to make their build lists up in their heads for the latest iteration of the S550 Mustang. These are the top 5 mods for the 2018 Mustang that enthusiasts can’t wait to make. This should really come as a surprise to no one as this is one of the first mods many ‘Stang owners make as soon as they get their pony. 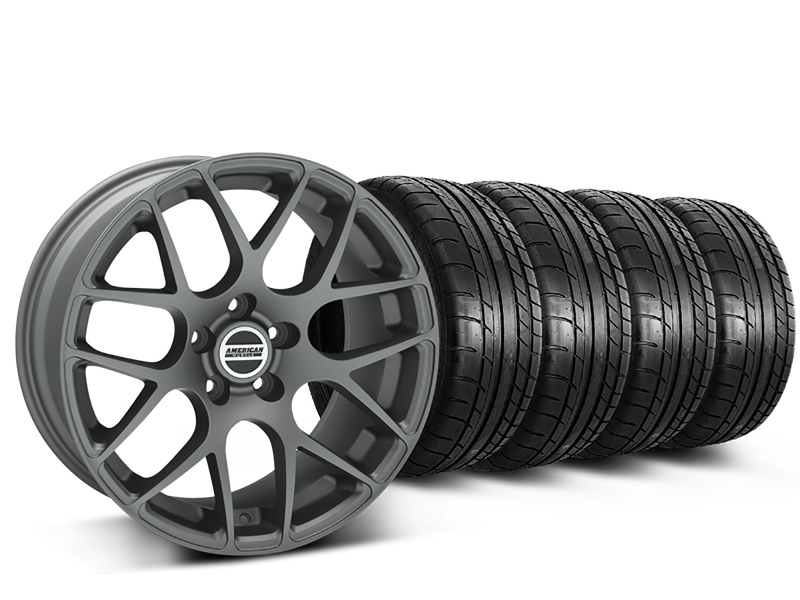 A set of wheels and tires add that perfectly subtle personal touch to your build, while also providing increased traction and grip. While the factory 2018 Mustang wheel and tire setup can be had in a variety of options including forged wheels and Michelin Pilot Spot Tires, there is always room for improvement. The 2018 Mustang comes from the factory with a valve controlled exhaust like that found on the Shelby GT350. While it does deliver that signature muscle car exhaust note that we’ve come to expect from the Mustang, it doesn’t quite have that over the top, in-your-face aggressive exhaust note. 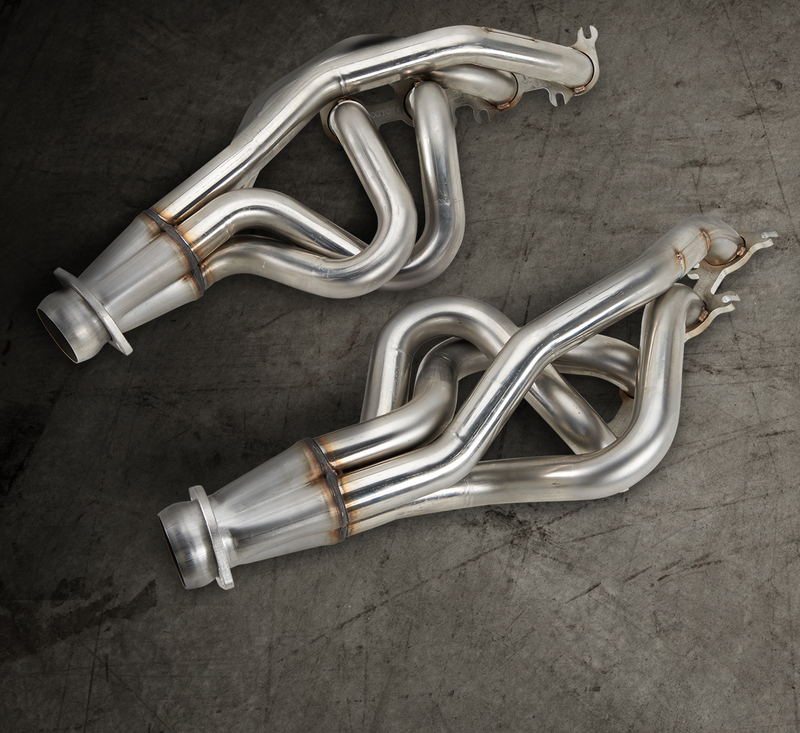 A few enthusiasts at Carlisle expressed that they’d love to add a set of long tube headers to an ’18 Mustang for that race ready growl, while others were more interested in just replacing the cat-back. The 2018 model wouldn’t be a Mustang unless gearheads wanted (and could) uncork the exhaust to allow every single bit of power to be heard loud and clear. The most polarizing aspect of the 2018 Mustang has been its front end. 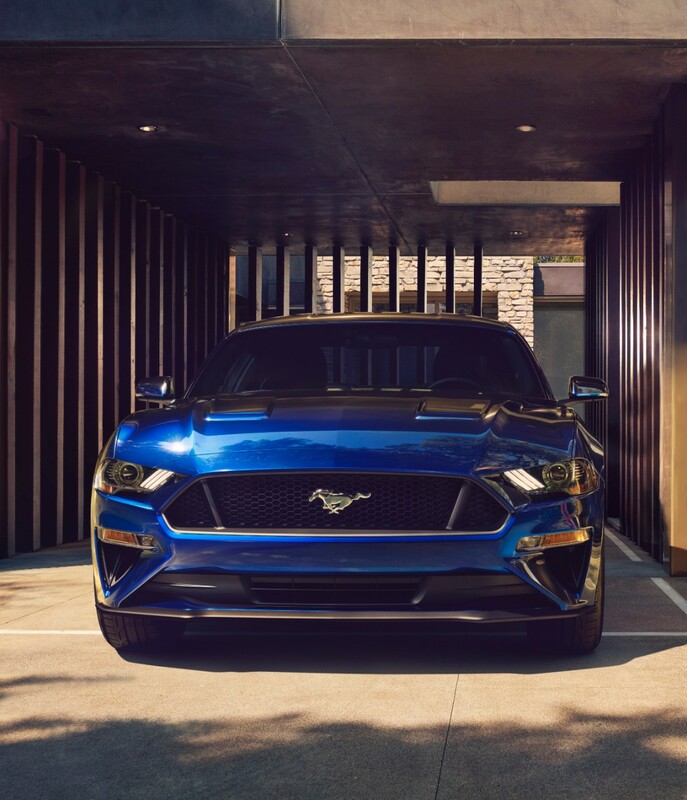 With a lowered hood line and slightly reshaped front end, the 2018 Orange Fury Mustang GT had seemed to split the crowd gathered around it between “love it” and “hate it”. After talking with the “hate it” crowd about the front end, the unanimous idea was that a few exterior styling parts would do the trick. The two main prevailing mods seemed to be a grille and a revised hood- meaning either an aftermarket hood or adding a pre-painted hood scoop. Considering that you can not currently by a factory supercharged S550 Mustang, it should come as no surprise to anyone that one of the first mods many enthusiasts are already drooling over for the 2018 Mustang is a supercharger kit. The naturally aspirated 5.0L will be belting out an already impressive 440+ HP (official power numbers have not been released yet), but that doesn’t quite match up with the higher horsepower halo cars of other brands, such as the Dodge Hellcat and the Chevrolet Camaro ZL1. A supercharged 2018 Mustang would be hell on wheels for the competition, laying a boosted beat down on whatever lines up next to it. The handling of the S550 Mustang is world’s beyond previous models and the 2018 does a good job of continuing to push the envelope. Perspective ’18 owners can get theirs from the factory for Magnaride shocks and dampers for what is considered to be the best handling out of a Mustang to date. With that said, there were quite a few enthusiasts at Carlisle who thought that a set of lowering springs should be high on the mod list for the ’18. 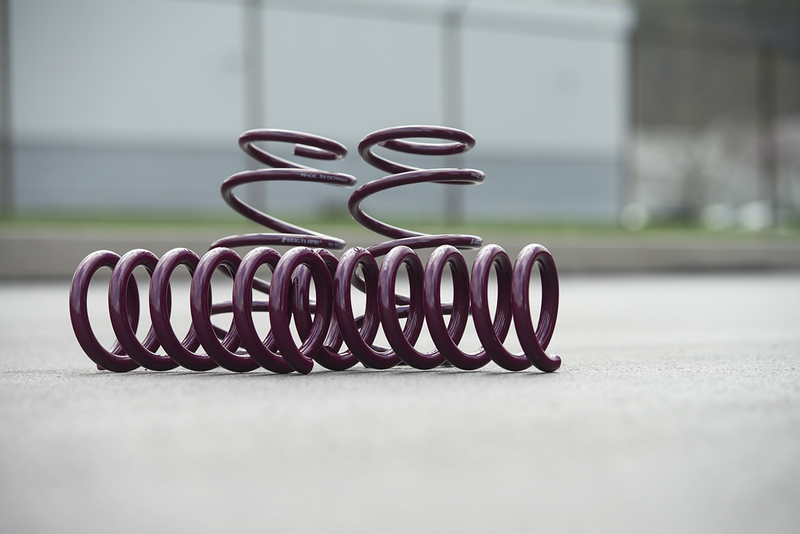 Between enhancing the handling and improving the curbside appeal, a set of lowering spring will be a efficient and utilitarian upgrade for the 2018 Mustang. Despite the improvements Ford has made to the 2018 Mustang’s MT-82 transmission that has been in production since 2011, there is still a lot left to be desired with the shifter setup. 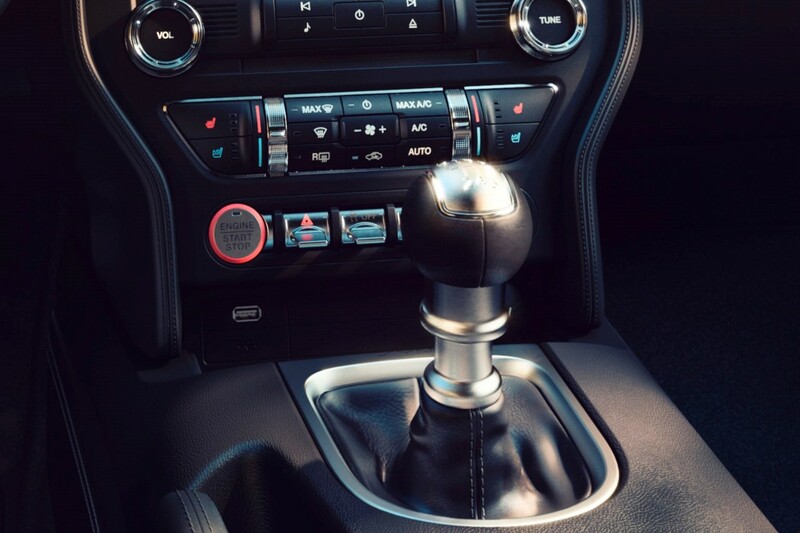 The true blue enthusiasts who still enjoy rowing gears were quick to chime in at Carlisle about wanting to upgrade the shifter on the 2018 Mustang to a short throw setup, for a more precise and notchier feel. What would be the first mod you’d make on a 2018 Mustang? Tell us what we missed in the comments below! The car is truthfully, darn near perfect. There are a few things that i would like to see from Ford, Ford Accessories, Ford Performance and Roush to go on this fabulous new car. 1.) 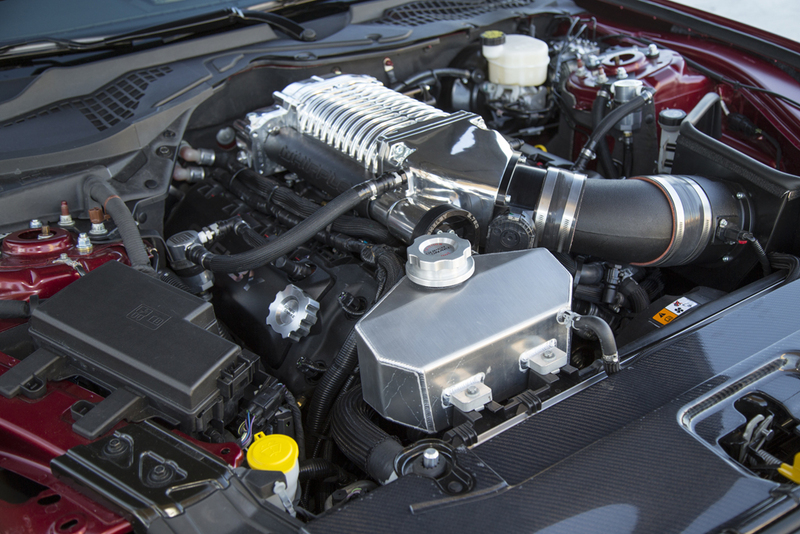 Performance: Although I’m not a big fan of forced induction, i would love to see Ford Performance & Roush come together to create a supercharger package for the car. Honestly I would really love for Ford Performance & Roush to collaborate alot on this new car and come up with a few N/A stage packages for the vehicle, the main one being a new cold air induction system, a Ford Performance Pro-Cal tune GT-350 style exhaust manifolds with the catted mid-pipes with the Ford Performance/Borla dual mode exhaust system upgrade package. I would also like to see Ford Performance do 2 different complete suspension packages (one for magnetic ride and one for the standard suspension) both with springs, sway bars, bushings, etc. Along with that i would hope that Ford Performance would offer the upgrades from the Performance pack level-2 cars as separate options. Throw in a short throw shifter, an electronic rear differential system, heavy duty axles and Brembo 6-piston brakes with 2-pc calipers, stainless brake hoses and maybe some Ford Performance brake ducts and we’d be in business. Styling: Starting with the outside, there’s nothing wrong with this car at all. Now I’m sure Roush is going to put it’s twist on it, but I beg them to just make a front spoiler and leave the bumper alone. I would say add the lip spoiler, side splitters, a rear spoiler and a rear lower valance diffuser and the car would be perfect. Inside, the car needs an alcantara package with the alcantara steering wheel, Alcantara seat inserts, alcantara headliner, and alcantara arm rest covers. Lastly I would love to see a JL Audio optional stereo system above the Shaker Pro system. Other than that, the car needs nothing.